One thing Dr. Karlinsky loves about being in the heart of Manhattan is being in the bustle of New York Fashion Week. The runways aren’t just about the clothes—but are also a preview of the beauty trends we can expect to see. While many styles come and go, one trend has continued to dominate the runways—a fresh face. The likes of Karlie Kloss, Kendall Jenner, and Gigi Hadid have all walked the catwalk baring seemingly perfect complexions. The past few seasons have seen a growing trend towards glistening, make-up free skin. How can you achieve a glowing complexion sans makeup? The latest in cosmetic laser treatments at New Look New Life Cosmetic Surgical Arts can have your skin looking its best without concealer, foundation, or powder! By stimulating collagen production, Halo is able to smooth fine lines, plump the skin, shrink pore size, improve overall skin texture, and even help with skin laxity—all of which even the best and most clever makeup artist would be hard-pressed to achieve! 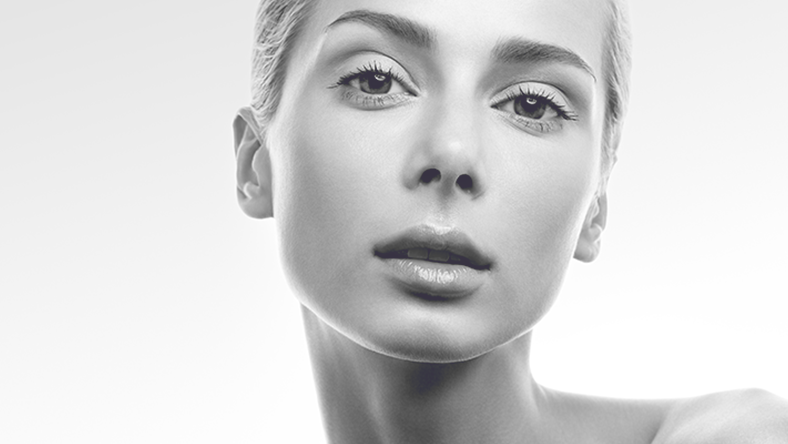 In addition to helping your skin appear smoother and tighter, Halo actually has a brightening effect. After your Halo treatment at New Look New Life Cosmetic Surgical Arts, there is a fair chance that you will be tossing your highlighter aside. It is hard to feel confident when you are constantly checking on and touching-up your makeup all day! Forever Young BBL utilizes BroadBand Light™ (BBL™) to specifically target and correct surface skin issues such as pigmentation, redness, and sun damage. Acne scars, broken blood vessels, and other superficial lesions are no match for Forever Young BBL. Another benefit! Forever Young BBL has been scientifically proven to slow down the aging process—meaning more years loving your skin even without makeup! Women with acne are often best friends with their concealer of choice. We don’t blame you, nothing is worse than a stubborn acne outbreak—and who wants to go makeup free when they are worried about a blemish? Forever Clear BBL uses the same cutting-edge BroadBand Light technology as Forever Young BBL. Its unique light spectrum of blue, yellow, and infrared light addresses bacteria, redness, and initiates a quick healing process. From the catwalk to the sidewalk, a glowing complexion is always in style—especially when it is makeup-free! Toss aside your complexion-saving products and discover what Halo, Forever Young BBL, and Forever Clear BBL can do for your skin! These light therapy treatments can be safely paired and combined to create superior results and an even more luminous complexion. You too can feel like a super model when going makeup-free when you schedule your consultation at New Look New Life Cosmetic Surgical Arts!